Working over night and well into the weekend, the Allan Mechanical crew has replaced a cooling coil in a critical surgical area. 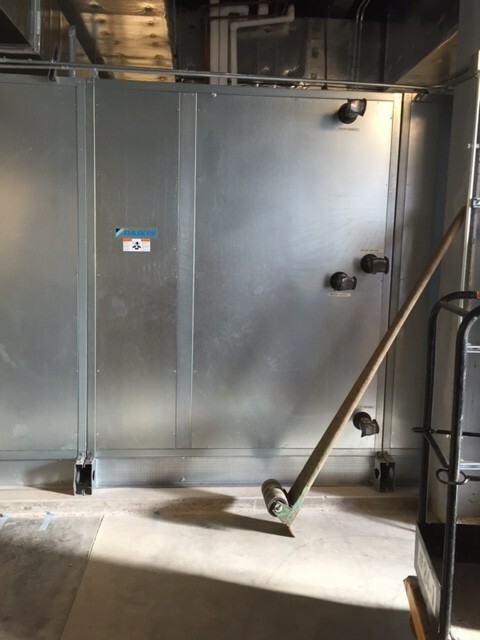 In order to install the coil into existing space, the Allan team needed to take down existing ductwork, remove the massive outside air intake louver, and lift the coil through the cleared opening and into the mechanical room. 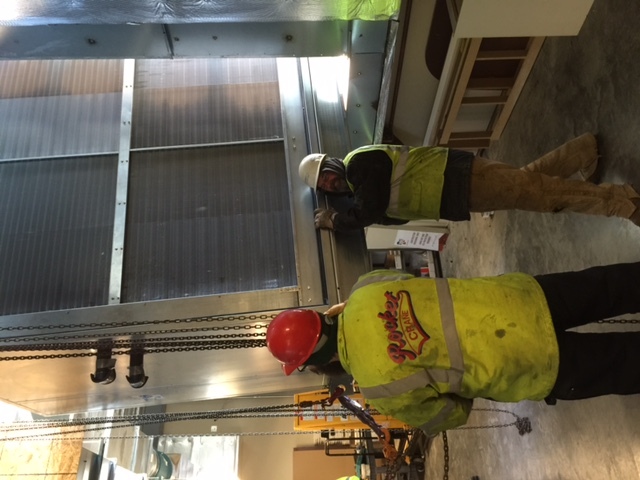 Earlier this week the team worked with the hydronics team and roofing company to set the new condensing units on a green roof. The Allan team successfully completed all work without the shutdown of the surgical centers. 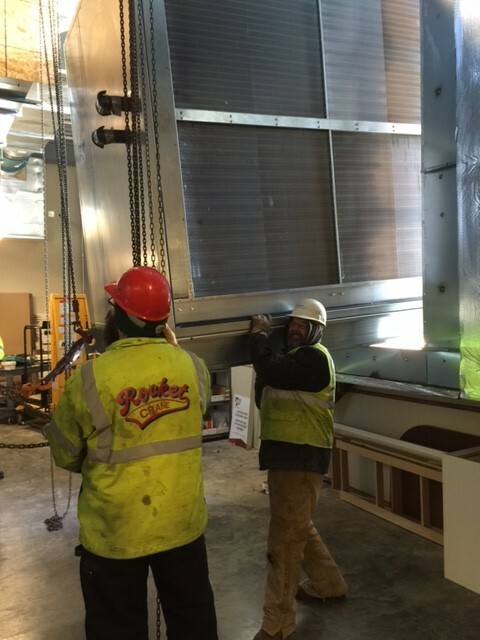 The louver spanned from a few feet above the floor to a few feet below the ceiling, just enough space for the massive buffer tank being fed through the louver opening. 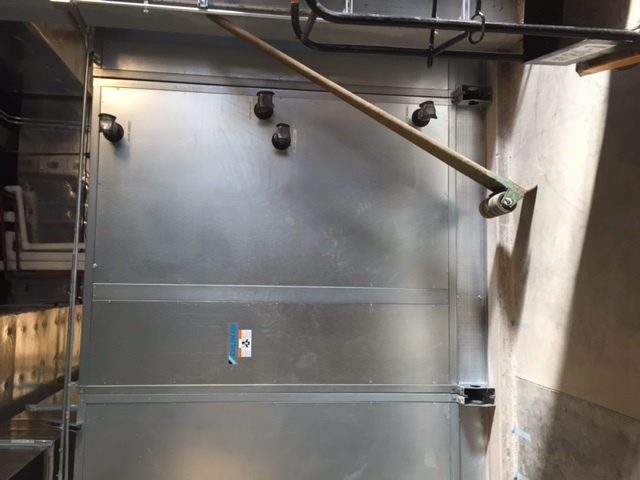 The opening was just large enough to fit the new section of the air handling unit through. 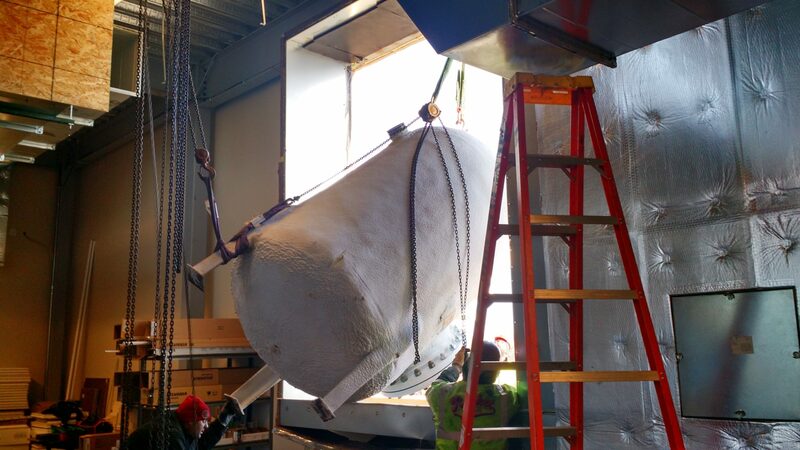 The work took all of Friday evening, Saturday during the day, and Sunday morning but the Allan Mechanical team was able to successfully install the coil.